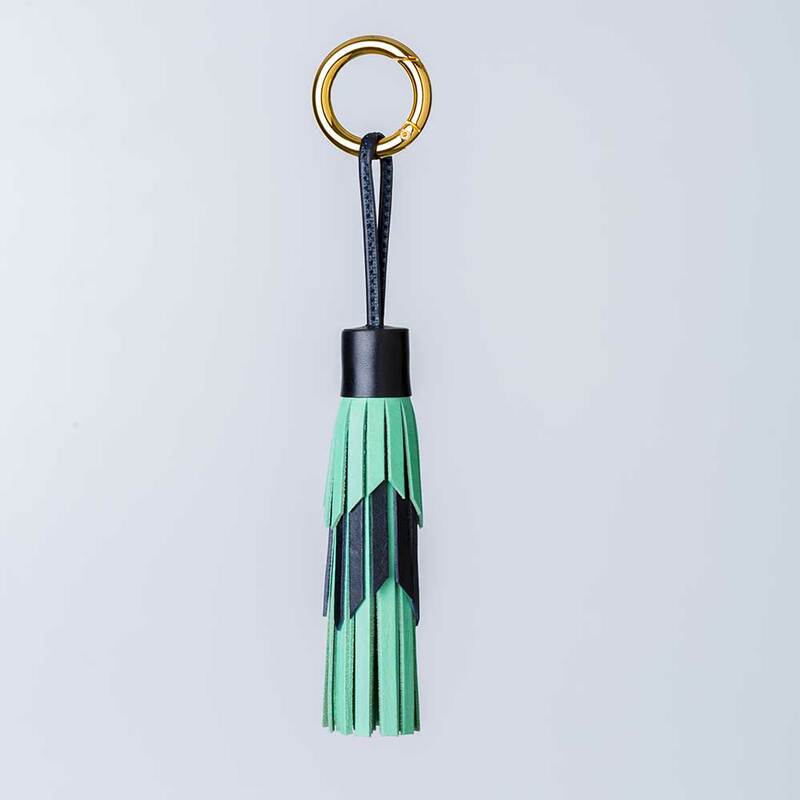 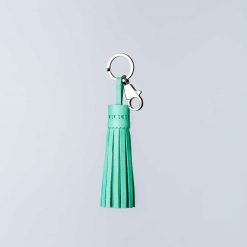 This mint and navy tiered tassel will add a unique feature and finishing touch to any bag. 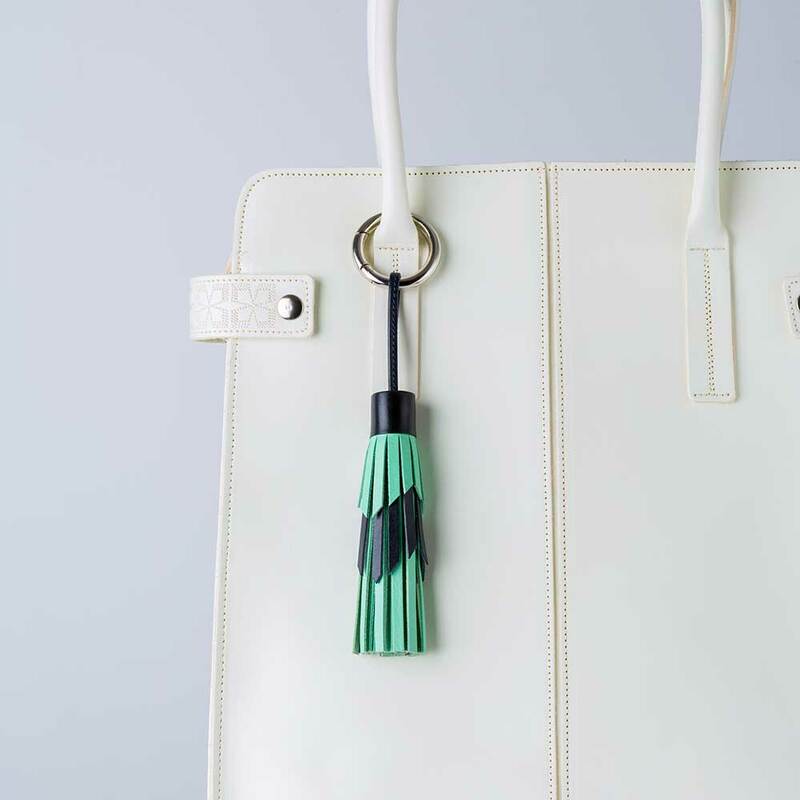 It has a neat leather strap and comes with a metal clip ring. 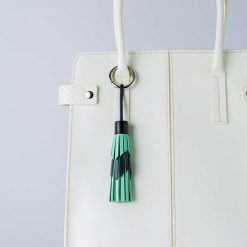 It is made from good quality Italian leather which is naturally tanned. 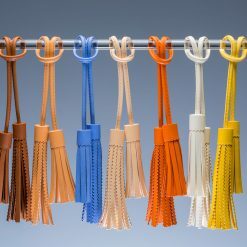 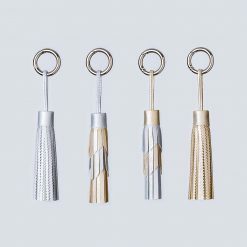 All the tassels are handmade in Somerset with great care and attention to detail.